There are fewer men than woman in District Of Columbia. The overall gender ratio is 90 men to 100 women. 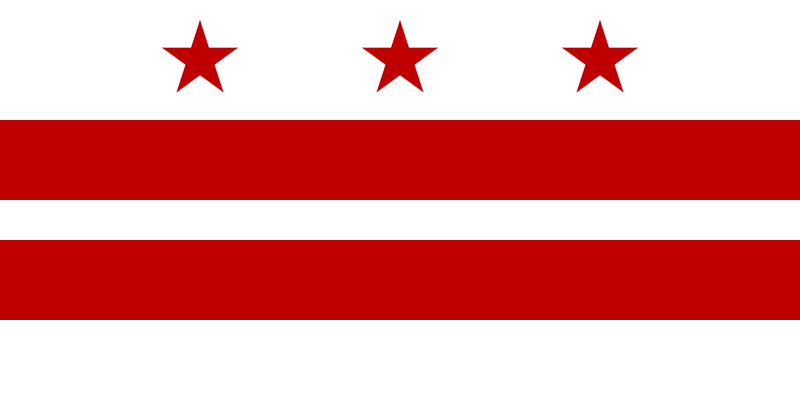 The District Of Columbia flag was adopted on October 15, 1938. The flag has been ranked the 7th best U.S. flag by a leading Vexillology Organization. The District Of Columbia quarter was the 51st quarter released overall. The quarter was released on January 26, 2009. Recent estimates put District Of Columbia's population at around 659,000 people (50th out of 56).The population density is 10801.5 people per square mile (1st out of 56). Someone from District Of Columbia is known as a Washingtonian. View our List of Adjectival and Demonyms for all the States. District Of Columbia was the 0th state when it joined the United States on July 16, 1790. Prior to 1790, District Of Columbia was known as "City of Washington in the District of Columbia." District Of Columbia is a territory of the United States and not one of the 50 states. The District Of Columbia postal code is DC. This abbreviation has been used since the USPS first established official codes in October 1963. 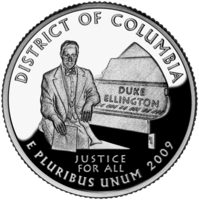 The District Of Columbia Quarter was released in January 01, 2009.